If peace could be held in the palm of one’s hand, what would it feel like? I sometimes meditate on this question, imagining that I am holding peace in my left hand (because it’s nearest to the heart). This is a stream-of-consciousness exercise focusing on the sensations, images, and words that come to mind, however randomly. It might go something like this: Peace feels soft. Although peace fills the hand, there’s almost no weight to it. Like a handful of fluffy little cotton balls—or maybe cotton candy. Pink cotton candy, like soft pink clouds at sunrise. Or blue like the sky. 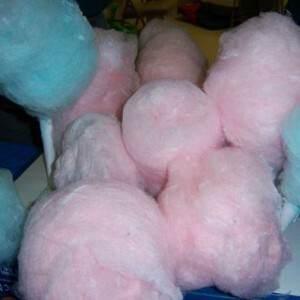 But peace is not sticky like cotton candy. It shapes itself to the hand and stays in place naturally, so there’s no need to keep a tight grasp. Peace won’t run away either. Like a friendly puppy, it wants to cuddle up and stay close—best not to squeeze too tightly! Peace glows with a happy light, giving a pleasant warmth that travels all through the body and radiates out to the Universe. Peace is for sharing—it doesn’t need to be hoarded because there’s always more where it came from! Sometimes it dances too, just for the joy of existing—like the Snoopy Dance, maybe, with that cheerful piano music playing. Even after ending the meditation and letting the images fade, peace is still there invisibly, as though it evaporated into the surrounding air while leaving a fresh, natural scent—like a summer afternoon when a gentle, cleansing rain is about to fall.